Lewis Colbert was born with a club foot. A record breaking club foot. An NFL-worthy club foot. A club foot worth writing a book about. 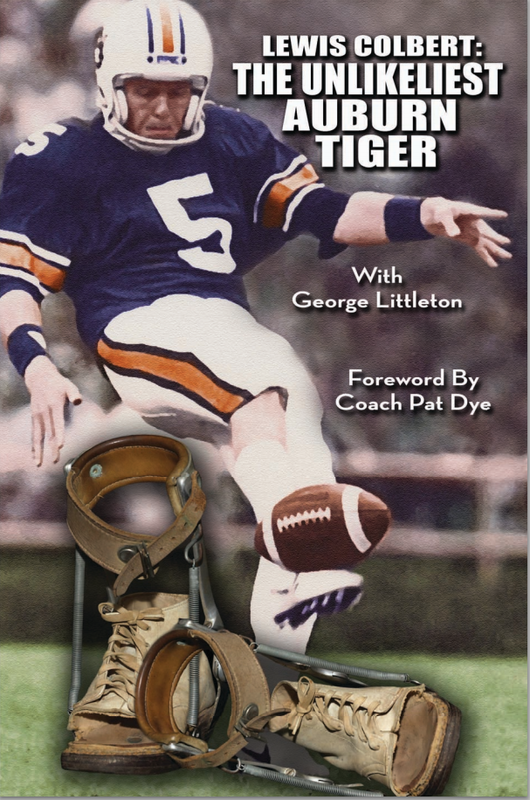 “The Unlikeliest Auburn Tiger,” an autobiography by the former Auburn University punter, documents Colbert’s journey in overcoming the difficulties of his childhood, including the numerous surgeries and constant metal bracing required to keep the severely misshapen foot from becoming a life-altering handicap. The 200-page hardback book will be released later this month by the Donnell Group, publishers of fine Auburn histories like “God’s Receiver: The Terry Beasley Story,” “Memories and Calls from the Announcer’s Booth with Jim Fyffe,” and “Auburn Man: The Life and Times of George Petrie.” A guy named Pat Dye wrote the forward. Colbert was a first-team All-American in 1985, his fourth season as head coach Pat Dye’s starting punter, and set Auburn career punting records that stand to this day for most punts and most punting yards. He also punted two seasons in the NFL. In 1992, Auburn fans named Colbert to Auburn’s team of the century. Autographed copies of “The Unlikeliest Auburn Tiger” are available for pre-order at www.theunlikeliesttigerbook.com. Seeing Lewis Colbert’s punts in real life was a thing of beauty no doubt. He could punt like Bo could run.